In its early years, the only way to get to Anna Maria Island, positioned quietly on Florida’s Gulf coast, was by boat. In fact, it wasn’t until 1921 that the three towns on the island, Bradenton Beach, Holmes Beach and Anna Maria were connected to the mainland. Now accessible via three different bridges, this seven-and-a-half mile island has never lost its sense of peacefulness and its laid-back attitude. Drive across any of those bridges and you’ll feel as though you’ve stepped back in time. Perhaps one of the best ways to enjoy the island is with the purchase of one of the many Anna Maria Island cottages available to you. The friendly, easy-going residents and Old Florida heritage of the island give residents and visitors a glimpse into what Anna Maria was like in the 1920s, and the serene tropical environment – as well as the deliberate effort by locals to preserve it – continues to make Anna Maria one of the most sought-after beach locations on Florida’s Gulf side. 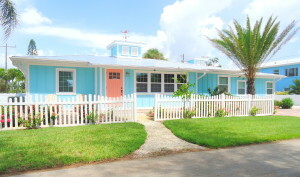 Strict zoning laws have also prohibited the development of high-rise real estate, making Anna Maria Island cottages plentiful throughout the island. These relaxed homes vary from traditional island cottages with wrap-around porches and plantation shutters to cottages that have been renovated to feature every modern luxury and appointment one would desire in a modern residence. 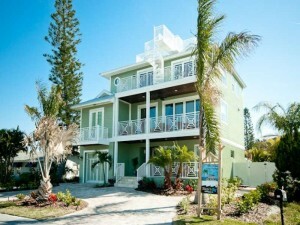 The real estate Anna Maria Island offers is also available in seemingly every price point. If you’re thinking about purchasing Anna Maria Island beach cottages, whether as your primary residence or vacation getaway, here are some things that you may not know about Anna Maria Island. 8 miles of beaches: Although Anna Maria Island is only 7 miles long, the beach stretches around the north and south edges of the island to create more than 8 miles of uninterrupted beaches. Sea turtles love it here: Millions of green and loggerhead sea turtles make their journey from nest to sea on Anna Maria Island beaches. In any given year, as many as 200 turtles will build nests here. In 2013 Anna Maria Island hit a record breaking number with 362 nests! The island is 3,000 years old: It’s impossible to know exactly how old the island is, but carbon dating and soil samples suggest that the island dates back approximately 3,000 years. Award winning: Anna Maria was recently voted a TripAdvisor “Traveler’s Choice Destination” winner in 2013 and has been proclaimed as the “Top Family Vacation Spot” in the United States. Even Forbes Magazine ranked Anna Maria Island as the No. 3 Prettiest City in the Country in 2013. Fantastic weather: The average temperatures in the winter hover around 73 degrees, making Anna Maria Island a fantastic destination year-round. These unique facts are just a few of the many reasons why so many new residents come to Anna Maria every year. Tucked away on the north end of the island, a cozy paradise that hasn’t changed much over the years, Anna Maria welcomes residents to eat a grouper sandwich and watch the dolphins swim by, to enjoy a book with your toes in the water, and to find your perfect relaxation spot whether permanently or just for your next vacation. 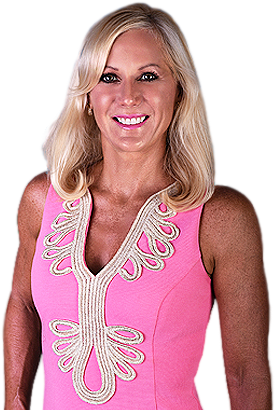 Operating the most successful real estate company on Anna Maria Island, it is my great pleasure as the area’s leading real estate expert to help you browse and view the Anna Maria Island cottages that best suit your needs. 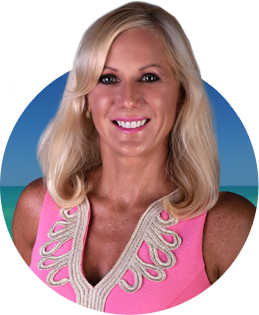 With more than a decade of experience and equipped with a strong market knowledge of the Anna Maria Island, Longboat Key and Bradenton areas, finding you the Florida lifestyle you desire is a privilege I take very seriously. If you’re purchasing from afar, connect with me today to discuss your specific requirements for an Anna Maria Island cottage and I’ll be happy to send you some information on the properties that best suit your needs. If you’re already in the area, let’s schedule a consultation and a time to tour the island and it’s many wonderful housing opportunities. Thinking about selling? I can help with that too. There has never been a better time to explore the myriad of housing options available here on Anna Maria Island and I look forward to sharing my love of the island and my real estate expertise with you. Connect today to get started! I look forward to hearing from you soon.